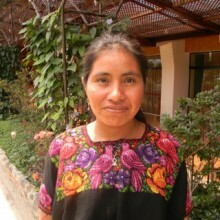 Jacqueline is originally from Chimaltenango and was selected as a GOJoven Fellow when she was 17 years old. She graduated with a Bachelor’s degree in Sciences and Arts with an emphasis in Physical Education at ENEF Sacatepéquez, and also studied the first semester in teaching staff in secondary and technical education in Educational Administration at the USAC. In the past. she was a volunteer at Teletón in organized community groups, such as OSAR Juvenil, and acted as facilitator and volunteer in training processes with children and young people on Sexual and Reproductive Rights. 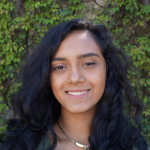 She has been certified as a facilitator for Integral Education in Sexuality at the national level and through participation in programs like Campamento Juventudes Ya, OSAR Juvenil, MENEIS, and GOJoven Guatemala, as a young promoter for access to contraceptive methods. Her goal is to be a professional psychologist who, through the knowledge acquired in the GOJoven training process and her future professional career, reaches the areas most in need of information and empowers girls, as well as serve as a departmental or national reference that works dynamically with youth.